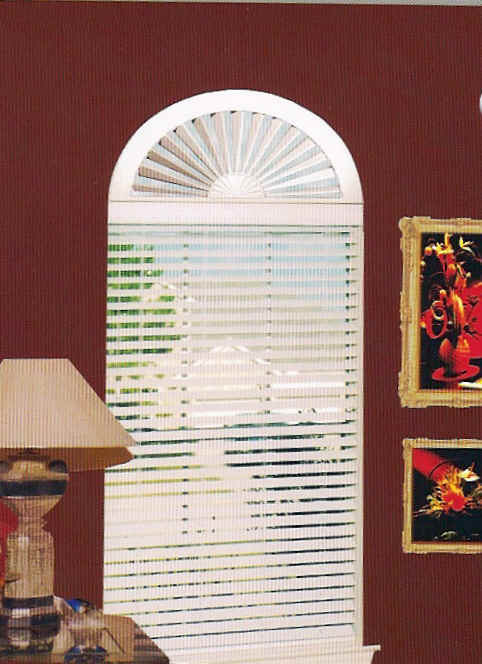 Timeless beauty and enduring charm for your arch windows. The Fauxwood Arch is a beautiful alternative to cover your arched windows and fully assembled for quick and easy installation and are available in three colors: Coconut, Milky Way and Buttermilk. 1. Select the width range. 2. Verify arch height (must fit width range chosen). 3. If customer’s window opening size can be accomodated by 2 size ranges, it is recommended to move up to the larger size for a more secure fit. Example: Window opening of 23"x11½" falls within 2 order size ranges–22 and 24. Select the 24 size. Note: Price may be affected. 4. If window opening size is greater than the width first listed on the width range, move down to the correct width range. Example: 40" width will use a width range of 38¼"-41½"